Headache is diagnosed by history and physical examination with limited need for imaging or laboratory tests. Migraine-associated symptoms are often misdiagnosed as “sinus headache” by patients and clinicians. Most headaches characterized as “sinus headaches” are migraines. Early treatment of migraines with effective medications improves a variety of outcomes including duration, severity and associated disability. Drug treatment of acute headache should generally not exceed more than two days per week on a regular basis. More frequent treatment other than this may result in medication-overuse chronic daily headaches. 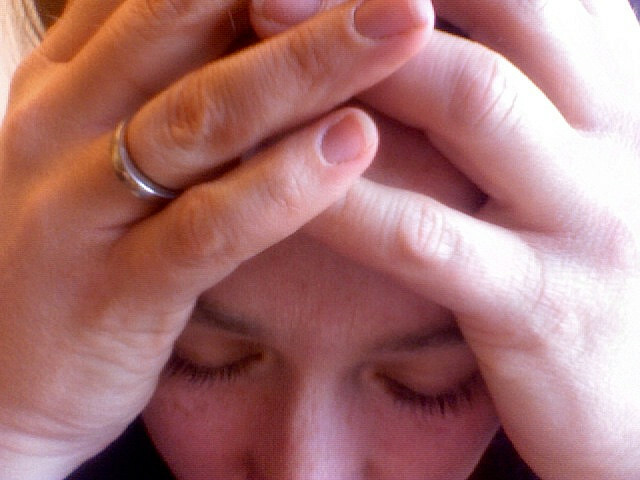 Inability to work or carry out usual activities during a headache is an important issue for migraineurs. Prophylactic therapy should be considered for all patients. Migraines occurring in association with menses and not responsive to standard cyclic prophylaxis may respond to hormonal prophylaxis with use of estradiol patches, creams, or estrogen-containing contraceptives. Women who have migraines with aura have a substantially higher risk of stroke with the use of estrogen-containing [contraceptives] compared to those without migraines. Headaches occurring during perimenopause or after menopause may respond to hormonal therapy. Most prophylactic medications should be started in a low dose and titrated to a therapeutic dose to minimize side effects and maintained at target dose for 8–12 weeks to obtain maximum efficacy. At this time the majority of the adolescent literature supports a strong placebo effect in this age group. Success of triptans and prophylactic medications in patients age 12-17 yield similar positive outcomes as in adult studies, but placebo administered in blinded, controlled studies has a similar effect. There has been a recent study that supports the use of almotriptan with statistically significant efficacy over placebo. As an acute treatment, almotriptan in the dose of 12.5 mg was effective in relieving pain and associated symptoms and was well tolerated [High Quality Evidence]. As a prophylactic treatment, topiramate 100 mg/day was effective in reduction of the number of migraine headaches a month [High Quality Evidence]. Psychological treatments, principally relaxation and cognitive behavioral therapies are effective treatments of childhood headache [Meta-analysis/Systematic Review]. Special consideration should be given to medication selection and management during pregnancy and breastfeeding, considering the risks and benefits of selected drugs and their efficacy. Clinicians should perform an appropriate prompt evaluation of the patient who presents with headache and initiate acute treatment. Migraine is the most common headache disorder seen by primary care providers [Low Quality Evidence]. A patient may present for care of headaches during an attack or during a headache-free period. If a patient presents during a headache, appropriate evaluation (history, examination, appropriate testing) needs to be undertaken in a timely fashion. Once the diagnosis of primary headache is established, acute treatment is instituted. If the patient has a history of recurrent headaches, a plan for treatment (acute and prophylactic) needs to be established. Clinicians should gather a detailed history, including a focused physical and neurological exam, of the patient who presents with headache. Minimal general physical examination is performed at the first consultation of patient presenting with a headache. Symptoms and signs with the use of criteria can diagnose headache. The International Classification of Headache Disorders, second edition (ICHD-II) system presently provides the gold standard. As empirical evidence and clinical experience accumulate, criteria for diagnosing headaches will be revised [Reference]. Inquire about functional disabilities at work, school, housework, or leisure activities during the past 3 months (informally or using well-validated disability questionnaire). Descriptive characteristics: pulsatile, throbbing, pressing, sharp, etc. A focused neurological examination may be capable of detecting most of the abnormal signs likely to occur in patients with headache due to acquired disease or a secondary headache. Causes for Concern?Headache features beyond that of ICHD-II system criteria should raise concern of a more sinister underlying cause [Guideline].Causes for concern in the diagnosis of headaches may alter a diagnosis of migraine to a secondary diagnosis of headache, which can be more serious and/or life-threatening [Guideline, Low Quality Evidence]. Neurological signs that may suggest a secondary cause. For example, meningismus, confusion, altered levels of consciousness, changes or impairment of memory, papilledema, visual field defect, cranial nerve asymmetry, extremity drifts or weaknesses, clear sensory deficits, reflex asymmetry, extensor plantar response, or gait disturbances. Subacute and/or progressive, worsening headaches over weeks to months:Headaches that worsen with time may be due to a progressive intracranial lesion such as tumor, subdural hematoma, or hydrocephalus. While the neurologic examination may reveal abnormalities that suggest a sinister process, this is not always the case. Accordingly, a history of a progressive headache is an indication for head imaging. For most processes, magnetic resonance imaging with and without gadolinium contrast will be more sensitive than a computed tomography head scan. Note: in patients who receive gadolinium contrast media used in magnetic resonance imaging (MRI), there is the potential for renal toxicity and the rare complication (3%-5% risk in patients with moderate to end-stage renal disease) of life-threatening nephrogenic systemic fibrosis. It is recommended that gadolinium use be avoided when possible in patients with advanced renal disease. A new or different headache or a statement by a headache patient that “this is the worst headache of my life” – Primary headache disorders (mainly tension-type headache and migraine) are exceedingly common. A history of a primary headache disorder does not confer protection against a new, serious process that presents with headache. The acuteness of a headache will largely define the differential diagnosis. Headache that presents suddenly, “like a thunderclap,” can be characteristic of several serious intracranial processes, including subarachnoid hemorrhage, venous sinus thrombosis, bacterial meningitis, spontaneous cerebral spinal fluid leak, carotid dissection, and rarely, pituitary apoplexy and hypertensive encephalopathy. The first investigation is a computed tomography head scan without contrast. If there is no evidence of a subarachnoid hemorrhage, a lumbar puncture should be performed. If both studies are normal and the suspicion of subarachnoid hemorrhage is still high, MRI with and without gadolinium should be obtained. Neurological consultation is indicated and further tests for consideration include magnetic resonance angiogram and magnetic resonance venogram.If the headache is more subacute in onset, chronic meningitis may need to be considered along with a space occupying intracranial lesion or hydrocephalus. Again, neuroimaging should be performed. Whether a lumbar puncture is done will be guided by the index of suspicion regarding a meningeal process (e.g., meningitis). Headache of sudden onset:This refers mainly to thunderclap headache (see above). It should be treated as an emergency since the possible presence of aneurysmal subarachnoid hemorrhage needs to be assessed as outlined above. Other secondary causes of headache will be found less commonly. Headache precipitated by a Valsalva maneuver such as cough, sneeze, bending, or with exertion:Valsalva headaches, while often representing primary cough headache, can signal an intracranial abnormality, usually of the posterior fossa. The most commonly found lesion is a Chiari malformation although other posterior fossa lesions are sometimes found. Less commonly there are intracranial lesions located elsewhere. An MRI needs to be obtained to appropriately investigate for these possibilities. Exertional headache, such as with exercise or during sexual activity, may represent a benign process such as migraine. However, if the headache is severe or thunderclap in onset, investigations will be necessary as already outlined above. Headaches of new onset after the age of 50 years:The large majority of individuals who are destined to develop a primary headache disorder do so prior to age 50 years. Of course, this is not universal, and migraine or other primary headache disorders may begin even at an advanced age. Nevertheless, care should be taken before a diagnosis of a primary headache disorder is assigned. Many patients who do have the onset of a new headache disorder after age 50 years will merit brain imaging. In addition, after the age of 50 years, a new headache disorder should evoke suspicion of possible giant cell arteritis. Obviously, symptoms of polymyalgia rheumatica, jaw claudication, scalp tenderness, or fever will increase the likelihood of this diagnosis. Findings of firm, nodular temporal arteries and decreased temporal pulses will increase the suspicion as will an elevated sedimentation rate. Symptoms suggestive of a systemic disorder such as fever, myalgias, weight loss, or scalp tenderness or a known systemic disorder such as cancer or immune deficiency:Systemic disorders, while not incompatible with a coexistent primary headache disorder, should signal caution. Patients should be carefully evaluated. Obviously, the differential diagnosis will be long and the index of suspicion for any given process will largely depend on the clinical setting. Presence of subtle neurological signs suggests a secondary cause for headache. For example, meningismus, confusion, altered level of consciousness, memory impairment, papilledema, visual field defect, cranial nerve abnormalities, pronator drift, extremity weakness, significant sensory deficits, reflex asymmetry, extensor plantar response, or gait disturbance when accompanying a headache should elicit caution:While neurological signs may be unrelated to a headache, previously undocumented neurological findings that are presumably new need to be carefully considered. Usually cranial imaging will be the initial study. Depending on the index of suspicion, lumbar puncture and blood studies may be indicated. Seizures:While seizures can occasionally be a manifestation of a primary headache disorder such as migraine, this is the exception and not the rule; it is a diagnosis of exclusion. Other etiologies for seizures including space-occupying lesions, infection, stroke, and metabolic derangements will need to be considered. Again, MRI is the imaging procedure of choice unless there is an issue of acute head trauma, in which case a computed tomography (CT) head scan should be obtained initially. This list is not intended to be all-inclusive but rather to represent the most commonly seen diagnosis for secondary headache by the primary care clinician. Meets Criteria for Primary Headache Disorder?The ICHD-II system for migraine has been studied in a community population sample without consideration of treatment. Findings suggest that the best criteria differentiating migraine from other headache types are the presence of nausea and/or vomiting in combination with two of the following three symptoms: photophobia, phonophobia, and osmophobia [Reference].The table “Modified Diagnostic Criteria” in the original guideline document has been modified from the ICDH-II system criteria and describes the differentiating criteria applicable for the diagnosis of migraine and other primary headache disorders. Clinicians should provide patient education and lifestyle management options to patients with headache. Clinicians should instruct patients with headache to maintain a diary to clarify the frequency, severity, triggers and treatment responses to their headaches. Migraine-associated symptoms are often misdiagnosed as “sinus headache” by patients and providers. This has led to the underdiagnosis and treatment of migraine. While education is of paramount importance in managing any condition, it is especially important in the ongoing management of headache. Patients may have to make lifestyle changes, are often required to make self-management choices in the treatment of individual headaches, and should maintain a diary to clarify the frequency, severity, triggers, and treatment responses. Refer to the original guideline document for detailed information regarding type of headache, lifestyle changes and self-management, and for mnemonic POUNDing for the screening of migraine headache. Chronic Daily HeadacheChronic daily headache refers to the presence of a headache more than 15 days per month for greater than three months. Chronic daily headache can be divided into those headaches that occur nearly daily that last four hours or less and those that last more than four hours, which is more common. The shorter-duration daily headache contains less common disorders such as chronic cluster headache and other trigeminal autonomic cephalgias. Only daily headaches of long duration are considered in this guideline.Refer to the original guideline document for diagnostic criteria of the following types of chronic daily headache: medication-overuse headache, chronic tension-type headache, and hemicrania continua. Clinicians may consider specialty consultation when the diagnosis or etiology cannot be confirmed, warning signals exist or quality of life is impaired. The diagnosis cannot be confirmed. Etiology cannot be diagnosed or warning signals are present. Headache attacks are occurring with a frequency or duration sufficient to impair the patient’s quality of life despite treatment or the patient has failed to respond to acute remedies or is in status migrainosus. Clinicians should use a detailed headache history, that includes duration of attacks and the exclusion of secondary causes, as the principal means to diagnose primary headache. Additional testing in patients without atypical symptoms or an abnormal neurologic examination is unlikely to be helpful. Refer to the original guideline document for more information. Patient Meets Criteria for MigraineMigraine is the most common headache disorder seen by primary care clinicians.It is expected that a patient with headache undergo a diagnostic work-up (see the Diagnosis Algorithm) establishing the diagnosis of migraine before initiating acute treatment. Is Patient Experiencing a Typical Headache?Each individual headache must be evaluated in the context of the patient’s prior migraine headaches. The practitioner must always remain alert to the possibility of secondary causes for headache, particularly when there is a previously established history of a primary headache disorder such as migraine.Migraine headache does not preclude the presence of underlying pathology (arterial dissection, intracranial aneurysm, venous sinus thrombosis, ischemic or hemorrhagic stroke, temporal arteritis, etc.) that may also present with “vascular headaches.” If the history is scrutinized, ominous causes for headaches can often be identified and treated with the potential to avoid catastrophe. Clinicians should categorize headache according to peak severity, duration of symptoms and time to peak impairment. Clinicians should treat according to severity. Accurate categorization and characterization by both providers and patients is important. The categorization of migraine influences choice of treatment method. Mild – Patient is aware of a headache but is able to continue daily routine with minimal alteration. Moderate – The headache inhibits daily activities but is not incapacitating. Severe – The headache is incapacitating. Status – A severe headache that has lasted more than 72 hours. There may be additional features that influence choice of treatment. For example, parenteral administration (subcutaneous, nasal) should strongly be considered for people whose time to peak disability is less than one hour, who awaken with headache, and for those with severe nausea and vomiting. Determining functional limitations during migraine episodes is the key to determining the severity and therefore the best treatment for a patient. Clinicians and patients should stratify treatment based on severity rather than using stepped care, though patients will often use stepped care within an attack. This algorithm uses a stratified-care model. Certain influences can lead to a migraine attack. It is important to note that although a single trigger may provoke the onset of a migraine, a combination of factors is much more likely to set off an attack. Refer to the original guideline document for a detailed list of triggers, including environmental triggers, lifestyle habits, hormonal triggers, emotional triggers, and medications. Clinicians may manage mild migraines with over-the-counter medications. Clinicians may use triptans for mild migraine pain levels. The guideline work group presumes most mild migraine headaches will be managed by self-care, which implies an emphasis on over-the-counter medications. However, since only 2% to 12% of initially mild migraine episodes remain mild (with the remainder progressing), treatments effective for mild headaches may be useful for only a short time. Studies on treatment of migraine headache at the mild level show that triptans are more effective in abolishing pain at this stage than if the headache is more severe. It is acceptable to use other symptomatic headache relief drugs as well as triptans for mild headache. However, current retrospective analyses of mild pain treatment studies reveal triptan response to two-hour pain freedom to be superior to any other comparator drug. Please see Appendix A, “Drug Treatment for Headache,” and Appendix B, “Drug Treatment for Adjunctive Therapy,” in the original guideline document. Use of non-steroidal anti-inflammatory drugs (NSAIDs) for acute treatment of headache for more than nine days per month or use of aspirin for more than 15 days is associated with an increased risk of chronic daily headache. Early treatment of migraines with effective medications improves a variety of outcomes including duration, severity and associated disability [Meta-analysis]. Given a longer half-life of naratriptan, headache response is delayed with naratriptan when compared with other selective 5-hydroxy tryptamine (5-HT) receptor agonists. However, headache recurrence may be less frequent. Second doses of triptans have not been shown to relieve headache more if the first dose has been ineffective. Studies show that sumatriptan and naproxen sodium in combination may be more effective than either drug alone. However, there are no studies that demonstrate that sumatriptan 85 mg/naproxen sodium 500 mg is more effective than sumatriptan and naproxen sodium taken together. Therefore, a dose of sumatriptan 100 mg and a dose of naproxen sodium 550 mg taken at the same time is recommended. Successful?Success for treatment of migraine is defined as complete pain relief and return to normal function within two hours of taking medication. In addition, patients should not have intolerable side effects and should find their medications reliable enough to plan daily activities despite migraine headache [Low Quality Evidence].Consider reasons for treatment failure and change treatment plan. Common reasons for migraine treatment failure are provided in the original guideline document. Clinicians should avoid the use of opiates and barbiturates in the treatment of headache. Early treatment of migraines with effective medications improves a variety of outcomes including duration, severity, and associated disability [Meta-analysis]. The use of opiates and barbiturates should be avoided. This guideline emphasizes the use of other agents over opiates and barbiturates, recognizing that many migraineurs are currently treated with drugs from the latter two classes. In general, opiates are characterized by having a short pain-relief window, release inflammatory neurochemicals, and increase vasodilation; none of these addresses the currently known treatment issues and pathophysiology of migraine. Meperidine should be avoided. The metabolite of meperidine, normeperidine, has a long half-life, produces less analgesic effect, and there is an increased risk of seizures that cannot be reversed by naloxone. The guideline developers have specifically excluded butorphanol because of its high potential for abuse and adverse side-effect profile. If an opiate must be used, meperidine should not be the opiate selected. See Appendix A, “Drug Treatment for Headache” and Appendix B, “Drug Treatment for Adjunctive Therapy,” in the original guideline document. It is recommended that the patient be hydrated prior to neuroleptic administration with 250-500 mL of 5% dextrose with 0.45% sodium chloride intravenously and advised of the potential for orthostatic hypotension and acute extrapyramidal side effects. The patient should be observed in a medical setting as clinically appropriate after administration of a neuroleptic and should not drive for 24 hours. Clinicians may consider adjunctive therapy as a treatment option for headache. See Appendix B, “Drug Treatment for Adjunctive Therapy,” in the original guideline document. As adjunctive therapy, any of the listed medications can be used singularly or in compatible combination. For intermittent, infrequent headache, caffeine should be added as first choice when not contraindicated. The use of caffeine in patients with chronic daily headache is to be discouraged. The prokinetic agent metoclopramide could be considered next. This guideline has no other preferences. Intravenous DHE is the method most frequently employed to terminate a truly intractable migraine attack or migraine status. The protocol outlined in the DHE algorithm is effective in eliminating an intractable migraine headache in up to 90% of patients within 48 hours. This method of administration has also been found to be effective in terminating an acute cycle of cluster headaches as well as chronic daily headaches with or without analgesic/ergotamine rebound. Clinicians should treat patients with migraine >72 hours who do not meet criteria for DHE with chlorpromazine, intravenous valproate sodium, intravenous magnesium sulfate or prochlorperazine. Clinicians should premedicate patients with diphenhydramine or benztropine who have migraine for >72 hours who do not meet criteria for DHE and who have a history of dystonic reaction. See Appendix A, “Drug Treatment for Headache” and Appendix B, “Drug Treatment for Adjunctive Therapy” in the original guideline document. If chlorpromazine, valproate sodium, or intravenous magnesium sulfate was used previously, one may not wish to repeat. OpiatesThese are not drugs of first choice and headache practice recommends against the use of meperidine. Normeperidine, the active metabolite of meperidine, has a long half-life and is neuroexcitatory and neurotoxic. There is inconsistent absorption of opiates, at least with meperidine, when injected intramuscularly, and they are less effective than when given intravenously. Opiates release inflammatory neurochemicals and increase vasodilation that are mechanistically counterproductive to currently known migraine pathophysiology and can exacerbate headaches. Studies have been done using meperidine but the effects are likely due to class effect and other opiates are likely to be just as effective [High Quality Evidence]. However, it should be noted that there are no studies to support opiate effectiveness.See Appendix A, “Drug Treatment for Headache,” and Appendix B, “Drug Treatment for Adjunctive Therapy,” in the original guideline document. See Appendix A, “Drug Treatment for Headache,” in the original guideline document for more information. 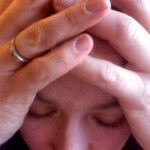 Patient Meets Criteria for Tension-Type Headache?Tension-type headache is one of the most common primary headaches. See Annotation #14 “Meets Criteria for Primary Headache Disorder?” for episodic (less than 15 days per month) and chronic tension-type headache (more than 15 days per month).It is important to evaluate the patient who comes to the office for tension-type headache for the possibility of migraine. While the ICHD-II system suggests migraine and tension-type headaches are distinct disorders, there is evidence to suggest that for the migraineur, tension-type headache is actually a low-intensity migraine [High Quality Evidence], [Low Quality Evidence]. Clinicians may utilize over-the-counter analgesics or prescription NSAIDs for tension-type headache treatment. Analgesics offer a simple and immediate relief for tension-type headache. Medication overuse is potentially a concern that can lead to chronic daily headache. Use of drugs for acute treatment of headache for more than nine days per month is associated with an increased risk of chronic daily headache. See Appendix A, “Drug Treatment for Headache,” and Appendix B, “Drug Treatment for Adjunctive Therapy,” in the original guideline document. Electromyography biofeedback has been found to have an effect on tension-type headaches. The goal is to help patients recognize muscle tension. Fifty-three studies have shown medium to large effect [Guideline]. Prophylactic treatment, including the use of tricyclic antidepressants, may be used for chronic tension-type headaches. Prophylactic therapy is reserved for patients with chronic tension-type headache (more than 15 headaches per month). Tricyclic antidepressants are effective in reducing the frequency and severity of tension-type headache. Patient Meets Criteria for Cluster Headache?There is no more severe pain than that sustained by a cluster headache sufferer. This headache is often termed “suicide headache.” Cluster headache is characterized by repeated short-lasting but excruciating intense attacks of strictly unilateral peri-orbital pain associated with local autonomic symptoms or signs. The most striking feature of cluster headache is the unmistakable circadian and circannual periodicity. Many patients typically suffer daily (or nightly) from one or more attacks over a period of weeks or months [Low Quality Evidence], [High Quality Evidence]. Clinicians should utilize inhaled oxygen for the treatment of cluster headaches at a rate of 7-15 L/min. Clinicians should consider using subcutaneous sumatriptan or intranasal zolmitriptan as a first line option for the treatment of cluster headaches. Oxygen inhalation is highly effective when delivered at the beginning of an attack with a non-rebreathing facial mask (7-15 L/min). Most patients will obtain relief within 15 minutes. Acute drugs may be difficult to obtain in adequate quantity. Subcutaneous sumatriptan and intranasal zolmitriptan are the most effective self-administered medication for the relief of cluster headaches. Sumatriptan is not effective when used before the actual attack nor is it useful as a prophylactic medication [Systematic Review]. Intranasal sumatriptan can also be considered for acute treatment [Moderate Quality Evidence]. DHE provides prompt and effective relief from cluster headaches in 15 minutes, but due to the rapid peak intensity and short duration of cluster headaches, DHE may be a less feasible option then sumatriptan. Clinicians should initiate bridging treatment or transitional prophylaxis simultaneously with maintenance prophylactic treatment after acute treatment has suppressed the initial attack for cluster headaches. Bridging treatment allows for the rapid suppression of cluster attacks in the interim until the maintenance treatment reaches therapeutic levels. Clinicians should initiate maintenance prophylaxis to provide sustained suppression of cluster headaches over the expected cluster period. Effective prevention cannot be overemphasized in these patients. Maintenance prophylaxis is critically important since cluster headache sufferers typically experience one or more daily (or nightly) attacks for a period of weeks or months. The goal of transitional therapy is to induce rapid suppression of attacks while maintenance prophylaxis is intended to provide sustained suppression over the expected cluster period. If the patient has intractable headache or is unresponsive to prophylactic treatment, consider referral to a headache specialist. Intravenous Metoclopramide 10 mgMetoclopramide (10 mg) is given either by direct intravenous injection over 2-3 minutes, or infused intravenously in 50 mL of normal saline over 15 minutes. Each dose of metoclopramide should be administered 15 minutes prior to each DHE injection. Although uncommon, acute extrapyramidal side effects such as dystonia, akathisia, and oculogyric crisis may occur after administration of metoclopramide. Benztropine mesylate is effective in terminating this unusual adverse event, given as a 1-mg injection (intravenous or intramuscular). Often after five doses of metoclopramide, it may be given as needed every eight hours for nausea [High Quality Evidence]. Begin Continuous DHEBegin DHE 2 mg in 1,000 mL normal saline at 42 mL/hr. Limit the dose of DHE to no more than 2 mg/24 hours.Continue intravenous metoclopramide 10 mg IV every eight hours as needed for nausea. If significant nausea occurs at any time, reduce the rate of DHE to 21 to 30 mL/hr. If diarrhea occurs, give diphenoxylate with atropine, one or two tablets, three times daily as needed. If excessive anxiety, jitteriness (akathisia), or dystonic reaction occurs, give intravenous benztropine 1 mg. It may be continued up to seven days. This approach is an alternative to the intermittent dosing of DHE as outlined in the Raskin protocol, and some practitioners may prefer it rather than the intermittent DHE protocol. Continuous DHE, like the intermittent administration, can be continued for seven days, although 72 hours is more typical. Opioid analgesics should not be used with either protocol since these are likely to prolong the headache via analgesic rebound. Clinicians should advise women who meet criteria for menstrual-associated migraine to keep a continuous daily record of headache occurrence, severity, duration and menstrual flow for at least two months. “Menstrual migraine,” a term misused by both patients and clinicians, lacks precise definition. The ICHD-II system has proposed that menstrual-only migraine be defined as attacks exclusively starting two days before and first two days of the menstrual cycle [Meta-analysis], [Guideline]. The woman should be free from attacks at all other times of the cycle. Many women who do not have attacks exclusively with menses are considered to have menstrual-associated migraines [Low Quality Evidence]. Clinicians may consider non-hormonal cyclic prophylactic treatment with NSAIDs and triptans for patients with menstrual-associated migraine. NSAIDsNSAIDs should be considered approaches of first choice in the prophylactic treatment of migraine associated with menses. Many clinicians consider triptans to be equally effective, but there are no comparative studies. [Conclusion Grade III: See Conclusion Grading Worksheet A — Annotation #91 (Non-Steroidal Anti-Inflammatory Drugs) in the original guideline document)].Naproxen sodium has been used as a preventive agent, although other NSAIDs may also be effective. Typically, the agent is initiated 2 to 3 days before anticipated onset of the headache and continued through the at-risk period. TriptansThere are good placebo studies supporting the use of triptans (sumatriptan, naratriptan, frovatriptan and zolmitriptan) for cyclic prophylaxis [High Quality Evidence], [Low Quality Evidence]. Clinicians may consider hormone prophylaxis treatment for patients with menstrual-associated migraines. Transdermal EstradiolEstrogen levels decrease during the late luteal phase of the menstrual cycle, likely triggering migraine. Estrogen replacement prior to menstruation has been used to prevent migraine.Estradiol patches, 50-100 µg, are applied 48 hours prior to expected onset of migraine and used for one week. In a contraceptive containing drospirenone, an extended 168-day placebo-free oral contraceptive regimen showed a significant decrease in duration, severity of headaches, and loss of function due to headache compared with a standard 21/7 oral contraceptive cycle [Low Quality Evidence]. In 2011, the Food and Drug Administration concluded that drospirenone may be associated with a higher risk for blood clots than other progestin-containing pills (http://www.fda.gov/Drugs/DrugSafety/ucm273021.htm ). Gonadotropin-Releasing Hormone (GnRH) Agonists with “Add Back” TherapyFor patients with severe menstrual migraine unrelieved by other therapies, suppression of the menstrual cycle with a gonadotropin-releasing hormone agonist and “add back” therapy may be effective.Tamoxifen, danazol and bromocriptine have shown limited efficacy in treatment of menstrual migraine. Whether oophorectomy is an effective treatment for refractory migraines is not settled at this time. Clinicians should not prescribe hormone therapy for perimenopausal or menopausal migraine treatment in patients who are pregnant or have unexplained bleeding. Menopause is the permanent cessation of menses. Perimenopause is the span of time from the reproductive to the post-reproductive interval. Hormone therapy may worsen, improve, or leave migraines unchanged. Pregnancy or unexplained bleeding: these are temporary but absolute contraindications to hormone therapy. Past history of breast cancer or endometrial cancer: while usually considered contraindications to hormone therapy, short-term use for severe menopausal symptoms may be considered with proper precautions. Successful?Successful is commonly defined as a 50% reduction in frequency in headache days and/or severity of headaches. On Estrogen-Containing Contraceptives or Considering Estrogen-Containing Contraceptives with MigraineMigraine patients who do not have absolute contraindications to estrogen-containing contraceptives should consider that estrogen-containing contraceptives may have unpredictable effects on the severity and/or frequency of headaches. In addition, evidence exists that the risk of ischemic stroke increases for migraineurs taking estrogen-containing contraceptives [Guideline], [Low Quality Evidence]. Clinicians should evaluate for vascular risk factors before prescribing estrogen containing contraceptives for treatment of migraine. Women who have migraine with an aura probably have significantly increased ischemic stroke risk if estrogen-containing contraceptives are used. This risk probably increases with age as baseline stroke rates increase, so that the increased risk may be acceptable to the younger patient (i.e., under age 30), but not to the older patient. It is probably too simplistic to say that no patient with migraine with aura should use estrogen-containing contraceptives. The decision should be individualized and should be made with the patient. It appears reasonable that women who have prolonged migraine auras (certainly those beyond 60 minutes), multiple aura symptoms, or less common aura symptoms (i.e., dysphasia, hemiparesis) should be strongly discouraged from using estrogen-containing contraceptives. Patients who develop a migraine aura for the first time while using estrogen-containing contraceptives, or whose previous typical migraine aura becomes more prolonged or complex, should discontinue estrogen-containing contraceptives. Women with migraine aura who smoke and are hypertensive further increase their risk. Additional risk is also noted if they are taking estrogen-containing contraceptives. Clinicians may prescribe prophylactic treatment for patients with migraine history after realistic goals and expectations have been established with the patient. Three or more severe migraine attacks per month that fail to respond adequately to symptomatic therapy. Less frequent but protracted attacks that impair the patient’s quality of life. Patient is interested in prophylactic treatment. One or more of these goals may be achieved. Patients should also understand that there is usually a latency of at least 3 to 6 weeks between the initiation of medication and recognizable efficacy. Often, an 8- to 12-week trial is necessary, allowing an adequate period for drug titration to a dosage likely to attain efficacy. It is also not uncommon for initial side effects to subside after continued therapy, and patients should be made aware of this so as to avoid premature discontinuation of a potentially effective medication. The choice of prophylactic medication should be individualized according to the side effect profile, the presence of comorbid conditions, and risk of medication interactions. For example, a tricyclic antidepressant may be especially useful with a migraineur with depression, while sodium valproate may be ideal for a patient with epilepsy. AdolescentsAs a prophylactic treatment topiramate 100 mg/day was effective in reduction of the number of migraine headaches a month [High Quality Evidence]. Refer to the original guideline document for references pertaining to the medications used in prophylactic treatment (antiepileptics, beta-blockers, calcium channel blockers, tricyclics). The treatment therapies listed below are in alphabetical order and do not indicate work group preference or scientific support. AcupunctureA systematic (Cochrane) review of acupuncture in migraine prophylaxis demonstrated that adding acupuncture to patients getting only acute treatment for headaches reduced the number of headaches patients had. When true and sham acupuncture were compared, they both reduced the number of headaches. There was no difference in benefit between true and sham acupuncture groups when results for all trials were pooled. Acupuncture demonstrated slightly better outcomes and fewer adverse effects than drugs shown to be helpful for prophylaxis [Systematic Review]. BiofeedbackVarious methods of biofeedback have been used as adjunctive therapy for migraine and tension-type headaches. A meta-analysis of 53 studies of biofeedback in combination with relaxation for tension-type headache demonstrated these to be more effective than headache monitoring, placebo or relaxation, especially in reducing headache frequency. Most of these studies were randomized controlled trials. Effects were most pronounced in adolescents [Meta-analysis]. Butterbur Root (Petasites hybridus)An extract from the plant Petasites hybridus is effective for migraine prevention. It should be used to reduce severity and frequency of migraine attacks [Guideline], [Moderate Quality Evidence], [High Quality Evidence]. Coenzyme Q10In one randomized placebo-controlled trial, coenzyme Q10 was superior to placebo for attack frequency, headache days and days with nausea [High Quality Evidence]. Cognitive Behavioral TherapyThis therapy is based on the premise that anxiety and distress aggravate an evolving migraine, and it has the potential for helping the patient recognize maladaptive responses that may trigger a headache [Guideline], [Low Quality Evidence].Psychological treatments, principally relaxation and cognitive behavioral therapies, are effective treatments of childhood headache [Meta-analysis/Systematic Review]. FeverfewThis herbal therapy is made from crushed chrysanthemum leaves. 250 µg of the active ingredient, parthenolide, is considered necessary for therapeutic effectiveness. Because these are herbal preparations, the quantity of active ingredient varies with the producer [Systematic Review], [High Quality Evidence]. MagnesiumDaily oral dosages of 400 to 600 mg of this salt have been shown to be of benefit to migraineurs in European studies [High Quality Evidence]. Onabotulinum ToxinOnabotulinum toxin has been approved by the Food and Drug Administration for the treatment of chronic migraine. Since this approach would be used by headache specialists or others trained specifically for use of this product, onabotulinum toxin is beyond the scope of this discussion. Physical TherapyIndividuals unable to take medication or interested in other nonpharmacological headache management, may benefit from physical therapy including craniocervical exercises. Craniocervical exercises designed to correct postural faults by retraining and strengthening craniocervical flexion, cervico-thoracic extension, scapular retraction, thoracic extension and normalization of lumbar lordosis have been shown to significantly reduce tension-type and cervicogenic headaches over a prolonged time frame [High Quality Evidence]. Relaxation TrainingRelaxation training includes progressive muscular relaxation, breathing exercises, and directed imagery. The goal is to develop long-term skills rather than to treat individual events. Repetitive sessions and practice by the patient increase the success of these therapies in reducing headache frequency [High Quality Evidence]. RiboflavinA randomized, placebo-controlled study has found daily supplements of 400 mg moderately effective in reducing the frequency and severity of migraine [High Quality Evidence]. Several additional treatment modalities are available. The modalities listed below lack sufficient scientific support to be recommended as therapies of proven value. Cervical ManipulationPrevious studies suggested potentially high levels of risk associated with improper application of this modality. Although some studies report few complications, the scientific evidence of significant benefit is not convincing. There is well-documented evidence of cerebral infarction and death from cervical manipulation [Low Quality Evidence], [High Quality Evidence]. A systematic review demonstrates that numerous deaths have been associated with high-velocity, short-lever thrusts of the upper spine with rotation [Meta-analysis]. Transcutaneous Electrical Stimulation UnitsTranscutaneous electrical stimulation units for migraine or muscle contraction headache have not been found to be more beneficial than placebo when evaluated in a controlled study [High Quality Evidence]. After 6 to 12 months, a gradual taper of prophylactic migraine treatment is recommended unless headaches become more frequent or more severe. Monotherapy is recommended with dose increasing until patient receives benefit, maximum recommended dose is reached, or unacceptable side effects occur. If failure with one medication, try another from the same class. Try Combination of Beta-Blockers and TricyclicsA beta-blocker and a tricyclic antidepressant may be more effective and produce fewer side effects in combination than a single drug at a higher dose from either class.